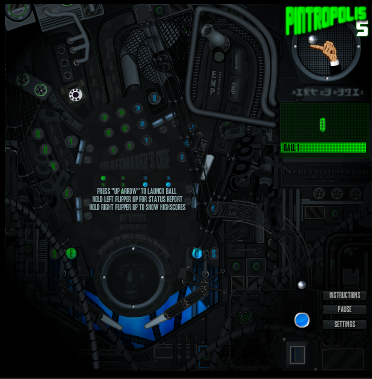 Description Very polished online pinball, contains lots of missions, ramps and as close as it gets to real life pinball play.The game is not just themed after the matrix but is more an ode to the movie. It presents the theme elegantly and contains well design details, effects and sounds to achieve a great pinball experience. Controls Arrow keys for flippers, space to nudge and arrow up to shoot. Controls are customizable in game by clicking on settings.